A brand new addition to our range of Venetian furniture comes the beautiful Smoked Siena mirrored collection. 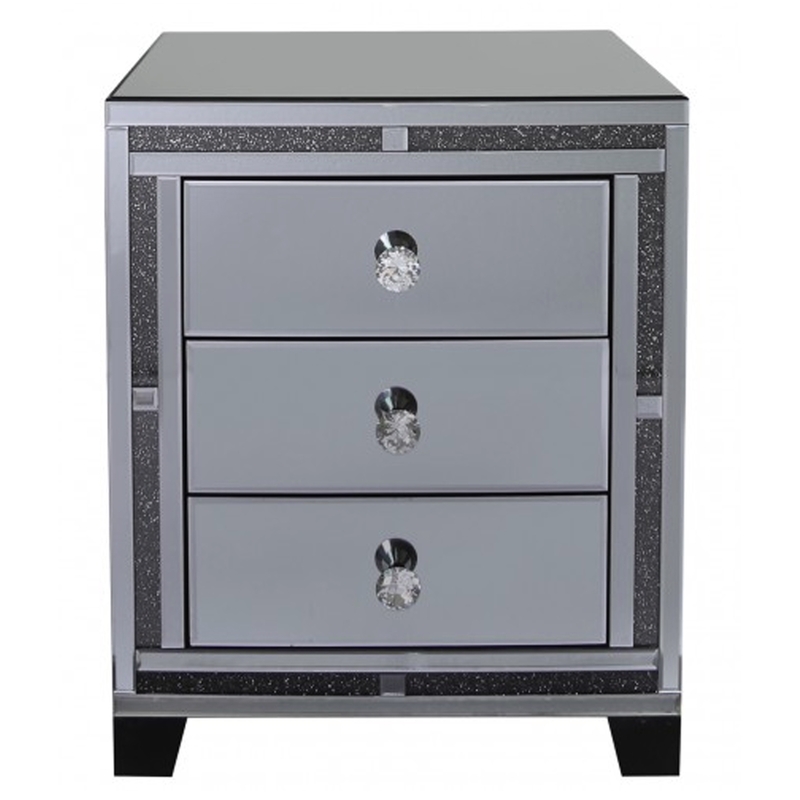 Featuring three drawers with crystal handles this full bedside is finished with a smoked mirrored exterior with a complete crystal design. A perfect modern touch to add to any interior.